We are currently in a recruiting climate where there is strong competition for the best management consulting talent. In order to attract and secure the best candidates it is not simply a matter of paying the most attractive salary. Many other factors come into play such as the quality of clients and assignments, career prospects, culture, work life balance, brand and a company’s social responsibility to name but a few. However, none of this is relevant if the hiring process itself is alienating the best candidates. This article from Cielo highlights some of the sources of frustration that candidates may encounter during a company’s application process which have a direct impact on their ability to hire top talent. Unfortunately sub optimal experiences are common: many employers either pay lip service to the candidate experience or mistakenly believe they are providing a good experience when they are not. Very very few companies ask candidates for feedback. They perhaps even assume that if a candidate is via an agency it somehow doesn’t matter as they are “only” upsetting a supplier: that is clearly short sighted in itself and in practice of course the candidate’s perception of the employer will be exactly the same. 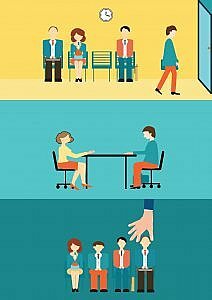 The recruitment process should be viewed from a candidate’s perspective, not only that of the successful applicant, but even more importantly from that of the unsuccessful candidate.